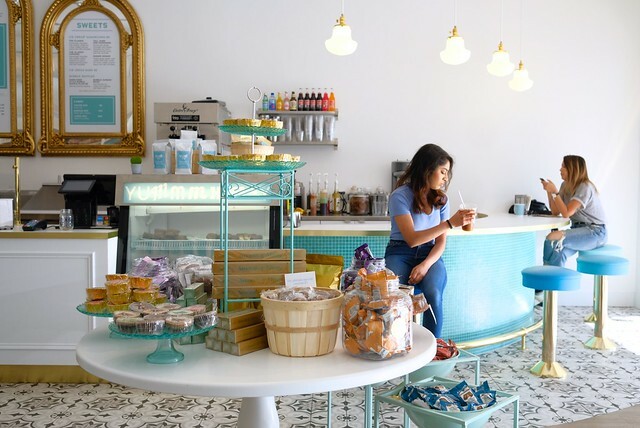 Riley Park–Little Mountain—The newly opened Yum Sweet Shop on Main Street is full of colourfully ornate decor and a deep menu of throwback treats. 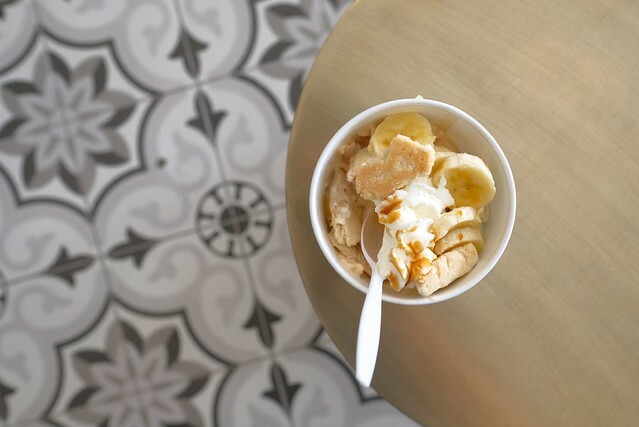 It seems as though there's no end to the specialty ice cream and overall dessert craze in Vancouver with so many new local vendors opening among the recent favourites. Yum, an all-service dessert and ice creamery, serves Rock Point Ice Cream and fills itself out as a much more full-scale establishment complete with house made soft-serve, a full espresso bar, ice cream sandwiches, floats, milkshakes, bubble waffles, and a plethora of imported specialty candy. 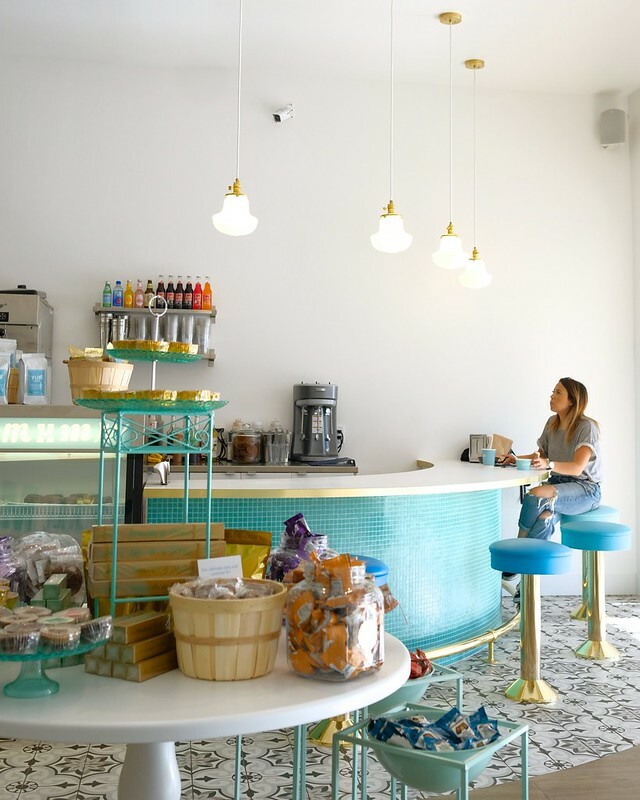 Owner Michael Gorenstein—ironically, a bodybuilder with a sweet tooth—clearly has a meticulous eye for detail with a background in design and curation. 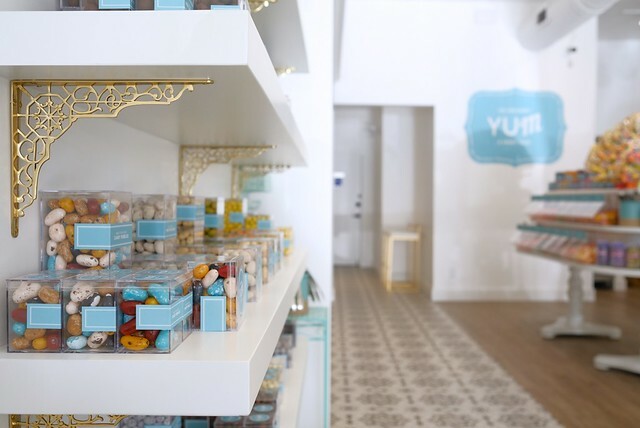 I sampled a variety of Yum's offerings and still feel overwhelmed by all the choices. 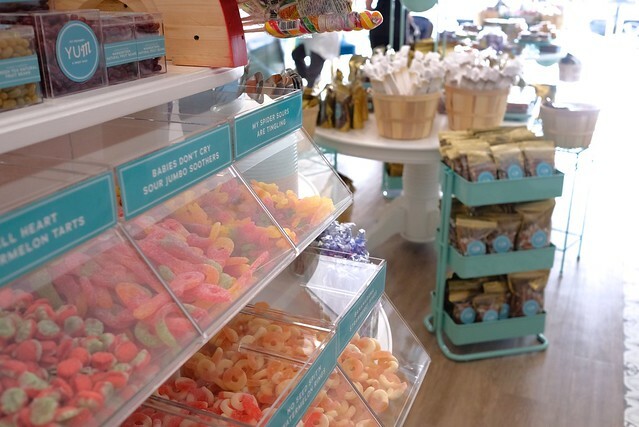 All of the over two hundred signature candies look attractive with a stressful amount to choose from. The flavoured candy balls were a favourite with flavours ranging from cookies and cream to cheesecake while the chewy sours and fruity snacks were familiar tasty treats. 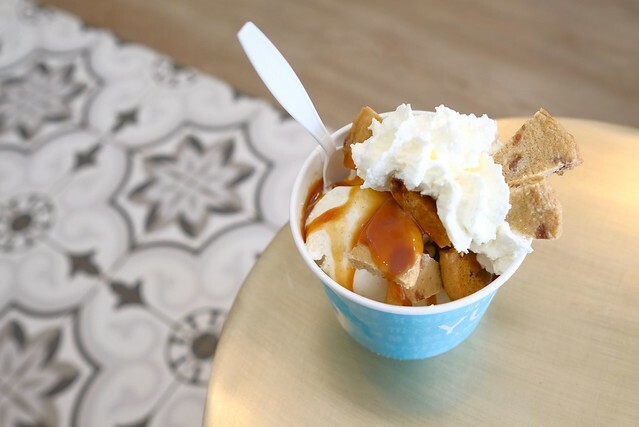 Yum's soft-serve was quite refreshing and flavourful while their signature sundaes feature some sweetly appealing complementary flavours (lots of salted caramel). 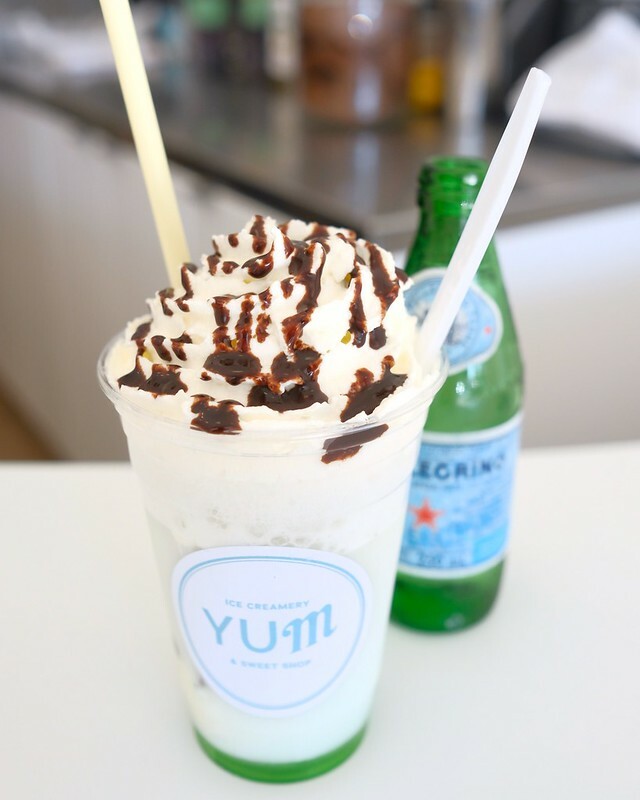 Their ice cream float had an intriguing mixture to it carefully concocted to maximize its ingredients well. 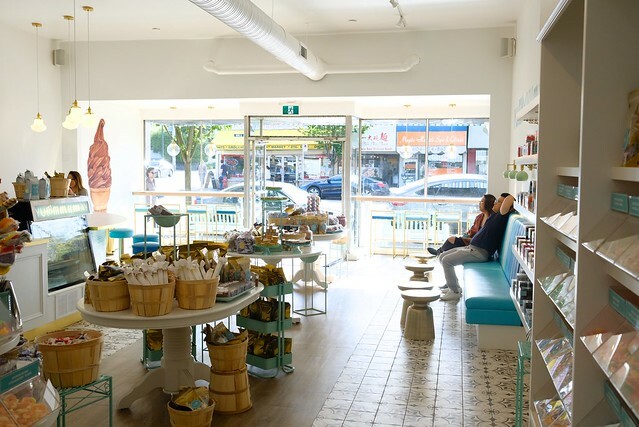 With its central location (plenty of foot traffic), bright decor, insane selection, and variety, Yum is shaping up to be a popular spot for anyone looking for a sugar fix. 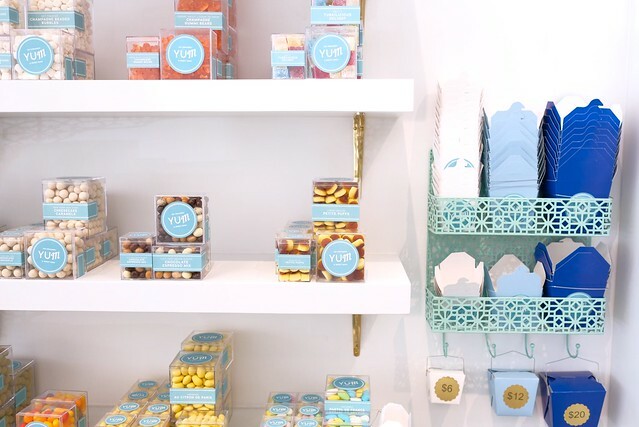 The shop is more than just eye-catching and there really is something for everyone's (sweet) tastes.